Come enjoy exceptional periodontal services at our new location in Williamsport, PA. Dr. Barry Holden believes that optimal oral health and a sense of confidence go hand-in-hand. He and our expert team are committed to helping you achieve a healthy, beautiful smile that will last a lifetime. Your complete satisfaction is what we strive for, and we will do anything to ensure your dental experience is pleasant and successful. Come visit us at our new location, 1202 Clayton Avenue in Williamsport, to see what a difference our superior care can make for your smile! You’re proud of the way you take care of yourself. You try to exercise regularly, you stick to a healthy diet—with indulgent snacks kept to a reasonable limit—and you try to get enough sleep every night. But did you know that lurking in your mouth could be bacteria that are not only harming your oral health but your general health, too? Gum disease, also known as periodontal disease, is very common. The disease ranges from gingivitis in its milder form to periodontitis in its advanced stage. Dr. Barry Holden provides gum disease treatment for his patients in Williamsport and State College, PA, in order to arrest the progress of the disease and restore healthy smiles. Gingivitis is marked by red, swollen and bleeding gums. With proper brushing and flossing at least twice every day and regularly scheduled checkups with Dr. Holden, gingivitis can usually be reversed. Left untreated, however, gum disease advances to become periodontitis. If you come to Dr. Holden with any of these symptoms of advanced gum disease, there are a number of treatments we offer in the office to help you fight this all-too-common disease. The first go-to treatment is root scaling and planing. This procedure does two things. First, scaling allows us to remove plaque and tartar (plaque that has hardened) from above and below the gum line. 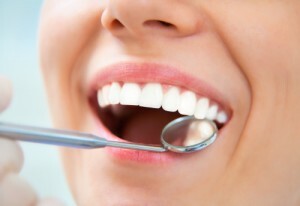 Then, planing reduces the rough spots on your teeth where bacteria can more easily cling. Antibiotic therapy—Dr. Holden will place an antibiotic gel in the pockets of your inflamed gums in order to control bacteria and reduce the size of these pockets. Laser therapy may also be used to reduce the size of gum pockets. Surgery to remove tartar and ensure that gums fit more snuggly around your teeth. Bone and tissue grafts to help regenerate any bone or gum tissue lost to periodontitis. Cosmetic periodontal therapy may be necessary to improve the appearance of gums and teeth. Regardless of which treatment Dr. Holden determines is best for you, you’ll want to maintain the results with frequent periodontal cleanings in order to keep the disease under control. For periodontal therapy that will prevent the more serious consequences of gum disease, schedule an appointment with Dr. Holden. With offices in both State College, PA, and Williamsport, PA, we conveniently restore smiles for people in Bellefonte, Lewistown, Huntingdon, Clearfield, Lock Haven, Bloomsburg, Altoona, Danville, and the surrounding areas. Are you too afraid to get the gum disease therapy you need? Many patients with gum disease avoid the treatment they need because they fear “going under the knife”. But advanced periodontal (gum) disease will not get better on its own. Periodontal disease can only be treated by removing the harmful bacteria hiding beneath the gum line and accumulating in tissue pockets around the teeth. Without comprehensive periodontal disease treatment, you will face serious dental health risks, including tooth and jawbone loss. Fortunately, Dr. Holden now offers a non-invasive and pain free treatment option that doesn’t involve scalpels or cutting. LANAP (Laser Assisted New Attachment Procedure) gum disease treatment uses only a laser to perform the surgery needed to restore your dental health. Schedule your laser periodontal surgery appointment with Dr. Holden today. Dr. Holden is an experienced LANAP therapy dentist with two convenient office locations. Dr. Holden delivers quality care daily throughout State College and Williamsport, PA, Bellefonte, Lewistown, Huntingdon, Clearfield, Lock Haven, Bloomsburg, Altoona, Danville, and the surrounding communities. 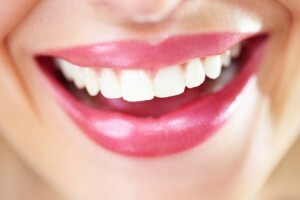 What Are the Benefits of Laser Periodontal Surgery? LANAP surgery can effectively treat periodontal disease without incisions or sutures. In the past, periodontal surgery used scalpels to decrease pocket depth and remove bacterial infection. Stitches were then needed to reattach the gums and assist in healing. But with LANAP, a dental laser removes the infection from beneath the gum line without affecting your healthy gum tissue. LANAP is a regenerative procedure because healthy gum tissue is not reduced and healthy bone is actually regenerated. The LANAP laser recognizes pigmentation, so it only targets harmful bacteria and infected gum tissue, which have a darker pigment than healthy gums. The LANAP procedure also helps new connective tissue and bone form between your teeth and gums, which minimizes the chance of the infection returning, and speeds the healing process. Do You Need Laser Periodontal Surgery? Don’t let dental fear or anxiety keep you from getting the periodontal therapy you need to stay healthy. Schedule your laser periodontal surgery appointment with Dr. Holden today. 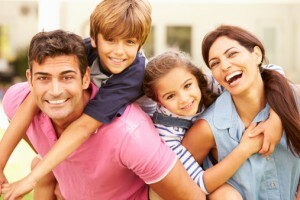 Dr. Holden is an experienced LANAP dentist with two convenient office locations. Dr. Holden restores smiles daily throughout State College and Williamsport, PA, Bellefonte, Lewistown, Huntingdon, Clearfield, Lock Haven, Bloomsburg, Altoona, Danville, and the surrounding communities. Click icon for more info © Copyright 2014, Barry L Holden, DMD. | Site designed and maintained by TNT Dental.